The primary goal of the MC Leader Support Structure is to facilitate environments where Missional Community (MC) Leaders can be known and equipped as they bear the weight and responsibility of MC leadership. Following are the various role descriptions and responsibilities within the MC Leader Support Structure. Each MC Group will be provided with a personal coach. The MC Group’s coach should be made aware of any needs that arise - personal, group-related, or otherwise. Attend and engage in the Coaching Environments, personal and communal. Stay in ongoing communication with his/her coach as needed. Each Coach will shepherd an appropriate number of MC Groups based on his/her calling and capacity. Arrange and facilitate the personal Shepherding Touchpoints. 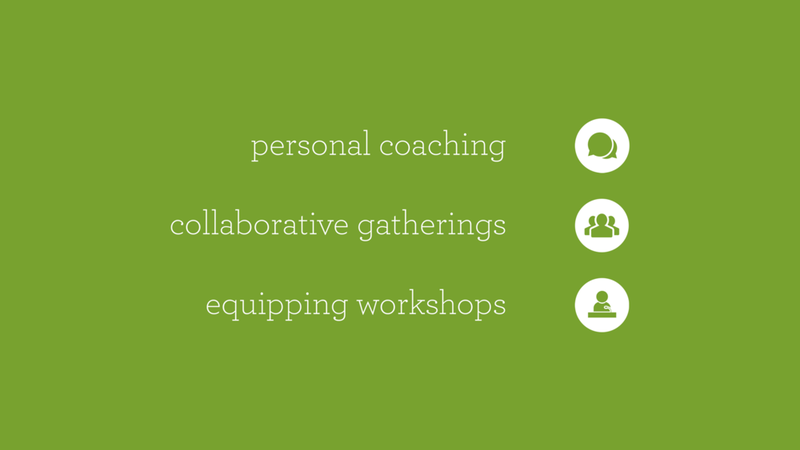 Attend and engage in the communal Coaching Environments (MC Collaborative Gatherings and MC Leader Workshops). The Pastor of Missional Life will oversee the entire MC Leader Support Structure, working closely with all Coaches, but especially the Lead Coaches. Arrange and facilitate the quarterly Collaborative Gatherings and the bi-annual MC Leader Workshops. Provide support and accountability for Coaches regarding the Shepherding Touchpoints. Following are the various environment descriptions within the MC Leader Support Structure. The primary goal of the Personal Coaching is for the MC Leader to be known by his/her coach, first as a human, and second, as a leader. The nature of the Personal Coaching is to be conversational and shepherding. The touchpoint can be face-to-face, video chat, phone call, or other forms of communication. The Personal Coaching should take place once a month. Those expected to participate in the Personal Coaching appointment are the Coach and MC Leader(s). The Coach is expected to initiate and communicate the Personal Coaching appointment with his/her MC Leader(s). The MC Leader is encouraged to contact his/her coach if he/she has not been contacted within a month since the last Personal Coaching appointment. The Pastor of Missional Life will check in monthly to provide support and accountability regarding the Shepherding Touchpoints with his/her MC Leader. The primary goal of the Collaborative Gathering is to equip MC Leaders through communal processing and leadership. The nature of the Collaborative Gathering is to be familial, informative, and discussion-based. Childcare will typically be provided and the group size will typically be no more than 20 MC leaders, so there is room for discussion. The Collaborative Gathering should take place once a quarter. Those expected to attend the Collaborative Gathering are the Pastor of Missional Life, all Coaches and all MC Leaders. The Pastor of Missional Life is expected to initiate and communicate the Collaborative Gathering with Coaches and MC Leaders. The Coaches and MC Leaders are both encouraged to request information about the upcoming Collaborative Gathering if they have not heard one announced within three months of the last gathering. The Elder Team will check in periodically to provide support and accountability regarding the Collaborative Gatherings. *Women’s Collaborative Gatherings will be planned periodically to supplement the need for more intentional support for our MC Leaders who are women and for the wives of husbands who are leaders. These will typically take place during the day and we plan to provide childcare. The primary goal of the MC Leader Workshop is to know and equip MC Leaders through teaching and training. The nature of the MC Leader Workshop is to be informative, encouraging, and empowering. The Equipping Workshop should take place twice a year (typically spring and fall). Those expected to attend the Equipping Workshop are the Pastor of Missional Life, all Coaches, and all MC Leaders. The Pastor of Missional Life will initiate and communicate the Equipping Workshop with all Coaches and MC Leaders. The Coaches and MC Leaders are both encouraged to request information about the upcoming Equipping Workshop when they are a month away from the general time they take place. The Elder Team will check in periodically to provide support and accountability regarding the Equipping Workshops.